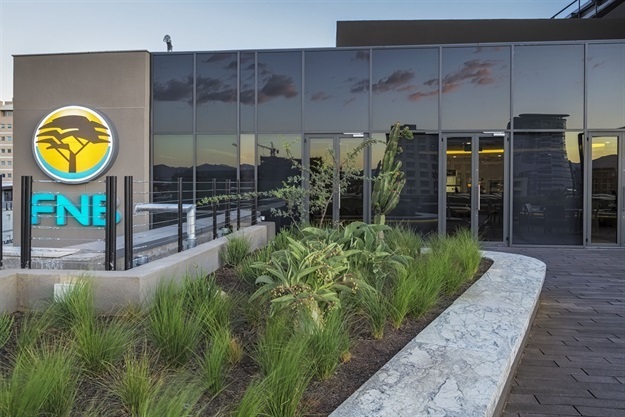 WSP | Parsons Brinckerhoff, Africa has achieved a four-star Green Star rating in Namibia for FNB Namibia Holdings’ @Parkside building. Located in Freedom Square, Windhoek, @Parkside, with its environmentally friendly design, and sustainable operational energy management, is said to be the first building in Namibia to achieve a Green Star rating. Construction of the building started in August 2013 with the buildings practical completion achieved in October 2015. During this time, the building was awarded its four-star Green Star Office SA-Namibia ‘Design Rating’ from the Green Building Council of South Africa in 2014. Since completion and being fully operational, the project is aiming towards an ‘As Built Rating’ by demonstrating that the sustainability initiatives designed into the building are installed and operating to their full efficiency potential. WSP’s Green by Design team has been involved with the project from conceptualisation through every phase of design and construction – consulting with the project team on sustainability and Green Star requirements – and now reviewing the operations of the building for the ‘As Built’ rating submission. Greg Rice, sustainability consultant, WSP | Parsons Brinckerhoff, Building Services, Africa, says: “There are a variety of innovative and sustainable factors evident in the morphology of the building that have all contributed to this building receiving its Green Star rating. The HVAC system that allows vast amounts of fresh outside air into the building so as to reduce the build-up of indoor pollutants. Occupants experience a high level of thermal comfort as a result of the materials selected for the outer skin of the building and the air conditioning system. The building also contains dedicated exhausts to extract printing and photocopy pollutants which have an effect on internal air quality. A combination of water fixtures and fittings which are low flow are installed. The design of the roof and podium levels allow for rainwater harvesting for reuse within the building. With recycling the grey water collection and a magnificent advanced filtration system, the building has been designed to surpass the most water efficient benchmark as set by the Green Building Council of South Africa (GBCSA). The water system is also a contextual response to the water stricken environment. The project comes complete with a full and smart building management system (BMS) which has the ability to identify energy-use trends and monitor any anomalies. The BMS will notify the building manager of any irregularities in terms of power consumption, ensuring that appropriate remedial actions can be initiated if necessary. “Throughout this project we also placed significant focus on relaying the importance of future proofing the building, for instance, by installing and/or designing initiatives that are likely to account for unknown future energy, water, waste management, environmental and societal changes. Incorporating such initiatives ensures that the design and development of this building is innovatively smart, ergonomic and more sustainable – not only for today, but well into the future lifecycle of the building as well,” concludes Rice.